Most of you know that I'm into fitness. I'm a lifelong soccer player and after getting sober, I started doing CrossFit. I wasn't sure CrossFit would be something I would stick with and after letting it go last year when I hurt my knee I never thought I'd pick it back up. A girl I play soccer with encouraged me to go to her CrossFit facility and give it a shot after I started playing again, following my sixth knee surgery. I was bored with the regular gym, feeling heavy and out of shape, and just could never get a hard enough workout in. I decided to give CrossFit another shot and I'm so glad I did! Now I try to go at least 4-5 times a week and it's the best workout I've ever had apart from preseason soccer in college. Getting back into it has made me realize the funny similarities this lifestyle of working out has with addiction recovery! Here are some reasons why. It's one of the staple phrases you'll hear at a 12 step meeting. Keep coming back! I've also heard it countless times at CrossFit. Both of these places are home to hard work - work on yourself that takes dedication, time, and effort. Doing either of these things half-assed just won't work. Don't give up, keeping coming back to CrossFit and meetings, and you'll learn to love them both. "It won't get easier, you just get stronger"
I love this phrase and it could not be more true about both recovery and CrossFit! CrossFit pushes your body to its limits and more. I've lifted more weight and completed workouts I never thought my body would be capable of. Recovery is the same way. When you start, it's hard and painful, but you grow and evolve as time goes on. You learn about yourself and eventually you're able to share your wisdom with others. In the beginning of both recovery and CrossFit you'll be given A LOT of new information. It can sometimes be overwhelming. It's a constant state of learning. Newcomers in recovery, and those at CrossFit, are encouraged to to listen and take notes. Asking questions helps too, as does being completely open minded to these new experiences. I don't know about you, but when I'm feeling sad, mad, stressed, confused, or happy I like to go to my CrossFit box. It gives me natural endorphins and evens out my mood so I can better take on the day. Same goes for recovery. When something is really bothering me, I like to go bounce it off my peers at meetings and receive inspiration on how to get through the hard times. Both places are safe environments where I can thrive and take part in healthy lifestyle changes - exercise and recovery. 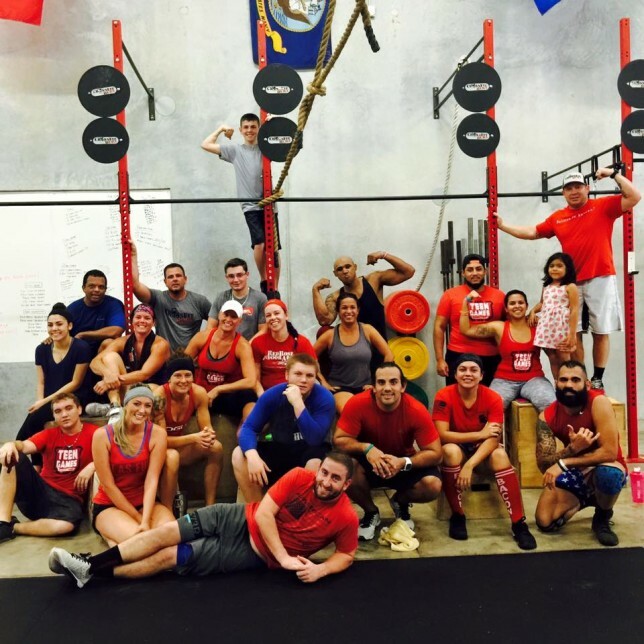 Just like every recovery meeting has a different vibe, the same is true about CrossFit boxes. The first box I joined here in Cape Coral was great, but it was unreasonably hot and had extremely competitive WODs and athletes who were very advanced. It's the best place for my fiancé, who enjoys a highly competitive environment and burning more calories in the heat. I, on the other hand, don't do well when I feel like I'm suffocating from heatstroke and get frustrated knowing I won't even be able to finish the majority of the workouts. Trying out CrossFit Hurt, the box I am at now, was a blessing. This environment is cool (temperature wise) with fans, and has members of all fitness levels. The workouts are challenging, but I feel like I am always improving and can achieve finishing these workouts and bettering myself each time. Recovery is the same way. You have to find a meeting where you feel comfortable and where you can be yourself. Last year I was attending an addiction recovery conference in West Palm Beach and looked online for a CrossFit box to drop into while I was on the other coast of Florida. I sent CrossFit CityPlace a Facebook message asking about prices and class times. They saw my profile photo that said "sobriety is self-love" and told me that they also host recovery meetings on certain nights of the week. How awesome is that? CrossFit + recovery = life. I got a WOD and a meeting at the same place! Phoenix Multisport is another fitness/recovery organization that combines CrossFit, recovery, and a plethora of other sports. I love what they're doing. With 3 locations in Colorado, 1 in Boston, and 1 in Southern California, it's obvious the recovery and fitness worlds are in need of these kind of places that address both needs. Besides getting fit and being in recovery, this is the best part of both CrossFit and 12 step meetings. I've found a fitness community that is supportive, encouraging, and helps me be the best version of myself, and the same is true about my recovery groups. I feel extremely grateful to have found a group of women who understand what I've been through, can relate to me, and help me growth through good times and bad. CrossFit and recovery are not quick fixes to any problem, whether it be weight loss or sobriety. Both are lifelong processes. Both require patience and dedication. For both of these lifestyles I've had to say, "progress, not perfection." I set small goals for myself and achieve them. I may hit bumps in the road along the way, but I always keep on truckin'. I love that two of my favorite things have so many similarities. Recovery and CrossFit - two lifestyles that you wouldn't normally pair together, but are actually one in the same.